This is the full article that is briefly summarized in Solar Buying Guide - Step 2. No need to worry, they say; you're completely covered and protected by warranties and guarantees for everything. It is a very big mistake to fall for this. And it's easy to see how and why it's not true. Just read the fine print in the warranties and guarantees. You'll be shocked to find out how well protected the manufacturers, dealers, and installers are, and how little protected you are. ​What follows is a pretty thorough analysis of the loopholes and dangers to the homeowner in these documents. Although they vary in some details from vendor to vendor, the warnings apply to all of them. Caveat emptor. ​At the end of the article is a recommendation for how to avoid these pitfalls. A solar-PV warranty covers repair or replacement of defective or failed parts (as opposed to under-performing parts or the whole system), due to bad workmanship. Most manufacturers warranty panels for 5 to 12 years. * The best ones are warrantied for 25 years. Inverters, monitors, and racks are usually warrantied by different manufacturers under various terms. Since almost all solar vendors sell systems assembled from components made by various manufacturers, it is usually up to the consumer to diagnose which component has failed and call its manufacturer for warranty service. The best warranty is a single one by a single manufacturer who designed and built the entire system. That way, there's no chance of the buyer being shuffled back and forth between manufacturers of different components, each blaming the others. The next best is a warranty from a single manufacturer who either makes or outsources and controls the manufacture of the components from a select few other manufacturers. At least the buyer has a single source to turn to for warranty service, and doesn't have to diagnose which component is at fault and hassle with its particular manufacturer. But even the strongest warranty offers little protection against anything but early failure of a defective component. There's lots more that can go wrong with a PV system than that. "Production" or "performance" guarantees are of two types: power and energy (if it doesn't say, it's almost certainly the power type). A power guarantee is a promise that each panel will output at least a certain percentage of its original STC rated DC power, depending on its age. Only if a panel falls below this power when tested will it be repaired or replaced under this guarantee. For most panels, these percentages usually fall by 1% per year of the panel's life down to 10 years, then .67% per year through year 25, so that they reach 80% at 25 years. Some of these guarantees are what they call "linear," meaning you have a remedy if, for example, a panel falls below 4% before year 4. Others are "stepped," meaning as long as a panel outputs over 90% within the first 10 years, it isn't covered. The same for anything over 80% after that. So if a panel drops to 90% on day 1, you have no remedy, but at 89% you do. Or if they all drop to 80% after 10 years, you have no remedy, but at 79% you do. The very best power guarantees are linear, for at least 95% of STC Rated DC power for the first 5 years, and declining no more than .4% in power per year after that to year 25. But power guarantees only guarantee power output, not annual energy production. That means that your system can produce much less annual energy than quoted without any panels falling below their individual power minimum under ideal standard test conditions (STC). But it's only annual energy production that matters to homeowners. Plus there are loopholes. Many warranties and guarantees give the manufacturer an out if the customer can't prove they've maintained the panels as instructed in the warranty over its life so far. There can also be a disagreement between the consumer and the company as to whether the panel is covered under the product warranty, the production guarantee, or neither. That's another reason why having a panel-product warranty that's combined with a power guarantee is desirable: so you're not stuck in the middle. An energy guarantee, on the other hand, is a promise that your whole PV system will produce a minimum amount of energy/electricity per year. This is the specification that really matters, because that's the one that offsets your SCE bill. Like power guarantees, the minimum amount drops every year, to allow for panel degradation. ​Like power guarantees, the best energy guarantees are linear, guarantee a certain fixed amount in the first year, at least 95% of it for the first 5 years, and declining no more than .4% in power per year after that to year 25. If a system falls short of its energy guarantee for a given year, the consumer is reimbursed for the shortfall at an rate per kWh specified in the contract. Energy-production guarantees are rarely available with purchased systems, but frequently come with leased or PPA (power-purchase agreement) systems. They do a better job of protecting the consumer against under-performance of the system as a whole, rather than individual panels. But there are loopholes here too. Some contracts accumulate any over-production in some years to make up for a shortfall in others. So long as the cumulative average doesn't fall below the minimum production specified in the guarantee, you receive no payment. If you are entitled to reimbursement under the energy guarantee, usually it is paid at a rate per kWh much less than the rates you pay SCE. That is one of many reasons why you want an adequately sized system - one that completely wipes out your SCE bill for many years. Besides these limitations, getting the vendor to pay can be like pulling teeth. Of course the vendor has the option to repair or replace the system instead, but that's hardly likely. Warranties and guarantees rarely cover the cost of labor to remove and replace defective components, nor the cost of shipping panels (sometimes to Asia). These can be big expenses. A few of the very best warranties do cover this. It pays to check. The biggest weakness of warranties and guarantees is that a failed or low-output panel must be replaced with the exact same brand and model of panel, or the whole system won't work. But models come and go, as do panel manufacturers, so the panel you need might very well not be available in even a few years, much less 20. The vendor's only choice would be to replace the whole system - much too expensive - so they usually just write a small check to the consumer instead. This is hardly satisfactory. Warranties and production guarantees are only as reliable as the companies that back them up. Unfortunately, many manufacturers of solar equipment are shaky and some go out of business each year. 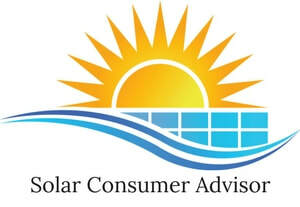 It is hard for a consumer to have confidence in such companies for the 25 years or more the PV system is hoped to last. Don't Rely on Warranties or Guarantees! You really don't want to have to rely on any product warranty or power/energy guarantee to be sure you get the annual energy production you paid for. It's much better not to have the problems in the first place. Will you really be able to get manufacturers and vendors to live up to their promises? How much hassle will it be? How long will it take? How much production and savings will you lose in the meantime? There's no compensation for that. It pays to get equipment that performs as expected and lasts a long time trouble-free. ​Warranties and production guarantees don't protect against a tree falling on your roof and breaking some panels. Damage caused by weather or other hazards is not usually covered at all, except under some leases . This is easily remedied. You just need to add the PV system's cost to the replacement value of your house under your homeowner's insurance policy. Many companies now offer this without any extra premium at all. Others charge a small additional premium for it. The only way to tell is to call your insurance company, but it's very important to do this as soon as the system has been installed. * “Compare Solar Panels,” http://www.SolarDesignTool.com; accessed July 2016. Also mfr's spec sheets.